This will be a huge event, that will help gather a lot of exposure and followers - So be sure to join in! There are a lot of different options available. 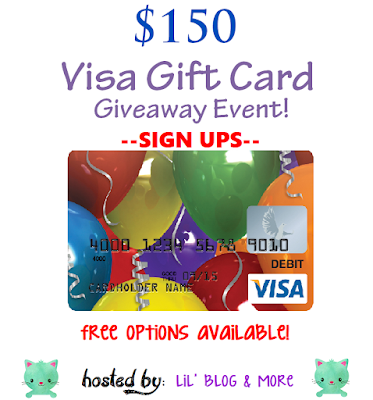 Prize for the event: A $150 Visa Gift Card. Actual Giveaway Dates: 3/23/2017 - 4/21/2017. Last day to sign up for this event: March 18, 2017.